Why do developers choose Ruby? Why do you like Ruby? What are the cons of using Ruby? What tools integrate with Ruby? 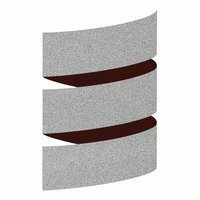 What are some alternatives to PHP, Ruby, and Scala Native? I started with a CodeAcademy course before working on my first Rails project. The language is easy to read and Rails is an amazing framework. The online community is fantastic, the documentation is amazing, and there is no shortage of Ruby Gems which allows you to quickly "cobble" together a new project. Only thing worth noting here is that we saw some major issues with memory swapping on Heroku with Ruby 2.1.2. We weren’t the only ones. So we actually reverted back to 2.0.0. Here’s what happened: . We’re planning to upgrade to 2.1.4 once we’ve had time to test thoroughly. When we are comparing Turing complete languages it's not about what compiles faster or to the cleanest machine code, it's about what the developer can think in and write faster, including the availability of libraries. A couple of times I wrote some ruby scripts for this project. I just like the language best for some things. Love the syntax. We are primarily a Ruby shop; our main apps are running on Ruby + Rails, our Slack bot is written in Ruby and our smaller projects are on Sinatra. It makes it really easy for us to re-use code and switch between different projects since they are all on the same language. Because happiness. Testing via RSpec (mostly model and request specs), Factory Girl for fixtures, VCR for testing API responses, timecop, Redcarpet for Markdown rendering, Intercom gem for posting events. Most of our services are written in Ruby. We started out as a Ruby shop, but we're slowly also moving some stuff to Go. We're using Go more and more these days, actually, including some backend services.